With new album Make It Better available on digital outlets today, Rochester, New York-based Giant Panda Guerilla Dub Squad brings forward their rich musical heritage. Throughout the exactly 38 minute runtime of Make It Better, Giant Panda masterfully crafts an immense array of soundscapes, from soft and smooth melodies to massive walls of luscious sound, seamlessly transitioning from one track to the next. The soft moments are beautiful and calm, especially on the tracks “Signs,” “Really True,” a lover's rock tune featuring Elliot Martin of John Brown’s Body and the eighth track, "Greatest of Days." 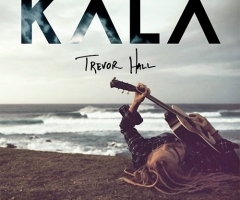 These songs serve as a great contrast toward some of the album's more upbeat moments like title track ‘Make It Better’ and "Live and Travel," which belong in the class of it’s own music that literally blows your hair back. "We had a purpose to prove to ourselves recording this album"
All five members of the band shine in different tracks and at different moments, but will also fall back into backing roles at different times. With the amount of complexity, the album still somehow never sounds busy, cluttered or over-produced. Make It Better is definitely a great continuation to their 2014 album Steady which debuted at #1 on Billboard Reggae Chart, and #1 on iTunes Reggae Chart. The tracks feel very familiar to make long time fans happy as well as attract some newer ones. Singer-bassist James Searl explains, "There is a lot of intention in this release. We had a purpose to prove to ourselves recording this album. We wanted to know that we could put our heads down and do good work fast. It was a great release artistically. It uniquely sounds the most progressive of anything we have ever done while also sounding the most like our first album." 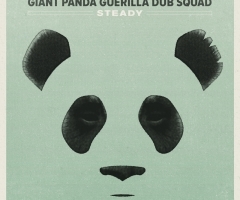 Giant Panda Guerilla Dub Squad "Signs"